SEDONA STAR GAZER PACKAGE for TWO! There is no sky like the Sedona Night Sky…to wish your favorite wish, upon your favorite star, with your favorite love by your side! This is an adventure not to be missed! This starry special package includes luxury accommodation at the award winning Lodge at Sedona in one of our select King Suites, our acclaimed wholesome breakfasts, afternoon snacks and evening appetizers…prepared fresh for you…every day. To top off your Sedona adventure, we will arrange your evening star gazing extravaganza. 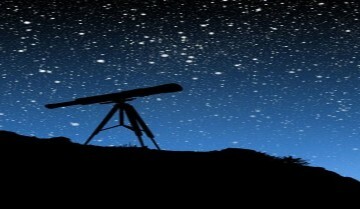 Your sky tour is an incredible evening of stargazing guided by professional astronomers with decades of experience. With custom-built state of the art telescopes and high-powered laser pointers they will guide you around the night sky. You will be treated to views of planets, galaxies, star clusters, double stars and other beautiful objects every clear night. Your awesome Star Gazer Package includes two nights in a King suite accommodation (where your star gazing can continue in the privacy of your own star gazing deck), star gazer tour for two, and all wholesome breakfasts and snacks. Enjoy our beautifully landscaped property, and our on-site meditative labyrinth. Your stay with us includes all the amenities such as our wholesome breakfast, afternoon snacks and evening appetizers. This package is based on availability and weather permitting. It is not available with other discounts, third party bookings, prior bookings, or holidays. Package includes best available King suites excluding Red Rock Crossing and Mission Grande.